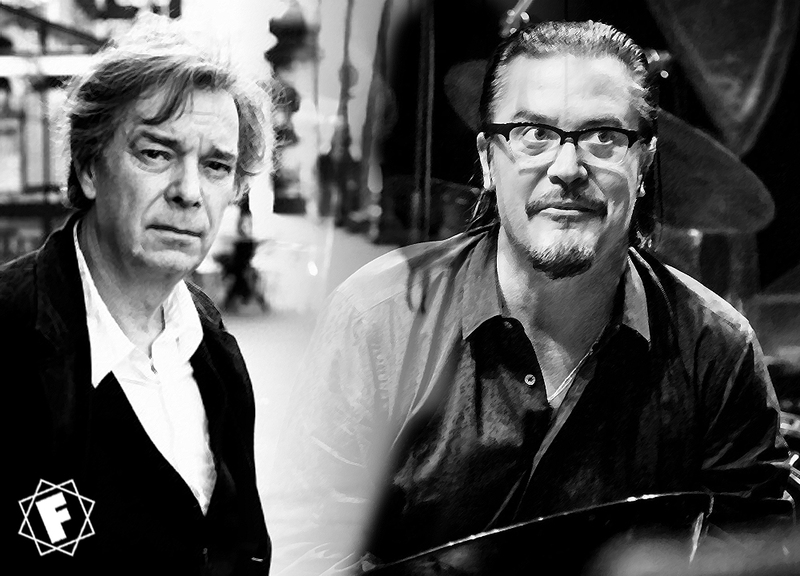 MIKE PATTON and JEAN-CLAUDE VANNIER project on it's way. Often the unsung hero of an artist is their producer, most of you will have heard of Matt Wallace who started out with Faith No More and helped develop their unique sound on five albums. But you might be forgiven for not knowing of S Husky Hoskulds. Husky is a Grammy winning sound engineer who has worked on various Mike Patton projects. He first collaborated with Patton in 2001 when he recorded and mixed Fantômas The Director's Cut and went on the mix the next two Fantômas albums. He also mixed Patton soundtrack Crank 2, and the Mondo Cane and Peeping Tom albums. He mastered Solitude Of Prime Numbers. It would seem that Husky has been working on the highly anticipated upcoming Patton and Jean-Claude Vannier project since October this year. He posted on his instagram account. "18 years ago. The first record I did with Mike Patton [Director's Cut] It's been a great ride so far. Every project has been unique. Every project has been challenging. We're back at it today mixing a new thing. Stay tuned." Patton has been collaborating with French composer Vannier, who worked with Serge Gainsbourg on his 1971 concept album Histoire de Melody Nelson. I’ve been a huge fan of Mike Patton and the music he makes for years. About a month ago I had an amazing dinner with my friend @le_darth_fader his wife Georgiana along with Mr. Patton. After dinner we listened to an incredible new project that he and Husky were working on. It was some of the most beautiful and heavy and sonically inspiring music I’ve heard in a while. This could mean that if the music has passed the mixing stage we could get to hear it very soon. Don’t forget that Ipecac Recordings celebrates 20 years in 2019 so we can hope for something special. Watch this space and we keep you updated. Patton and Uri Caine performed Chansons D’Amour, a composition from the duo at Forgotten Songs at the Modena, Italy in May. Hi! I know this is somewhat off topic but I was wondering if you knew where I could locate a captcha plugin for my comment form? I'm using the same blog platform as yours and I'm having difficulty finding one? Thanks a lot! Hi there! I know this is kinda off topic however I'd figured I'd ask. Would you be interested in exchanging links or maybe guest writing a blog post or vice-versa? My site discusses a lot of the same subjects as yours and I feel we could greatly benefit from each other. If you are interested feel free to shoot me an email. I look forward to hearing from you! Fantastic blog by the way!